Here’s a quick and fun baby shower gift. I made these bibs for a friend who has a baby boy on the way! Six easy steps below. 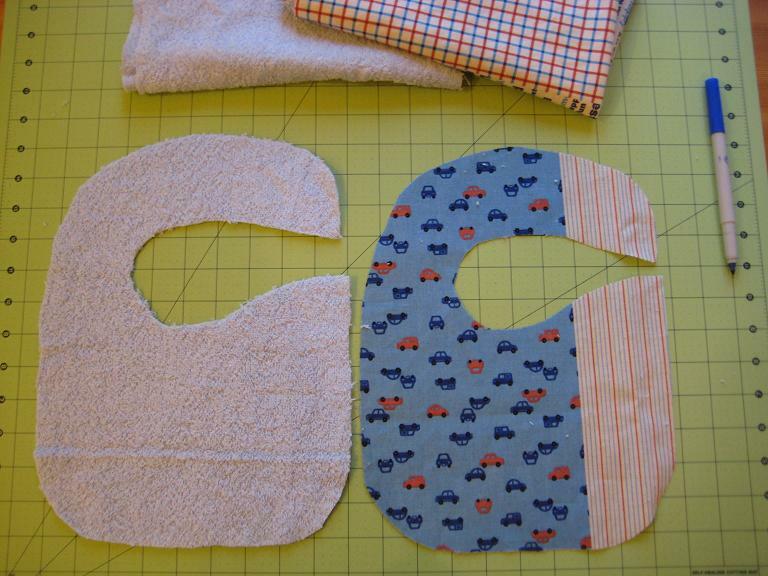 Step 1 – On scrap paper, create a baby bib pattern and then cut it out. 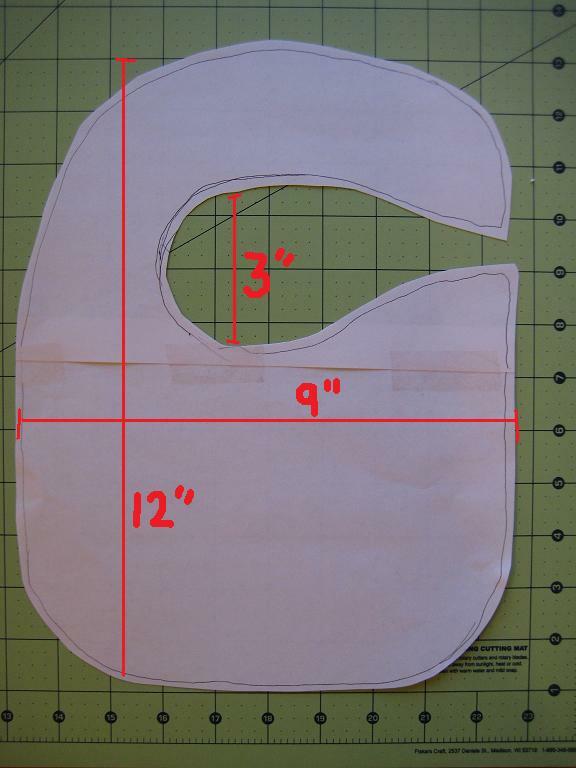 Below are the dimensions of the pattern I used. Step 2 – Trace the pattern on the fabric and terry cloth. 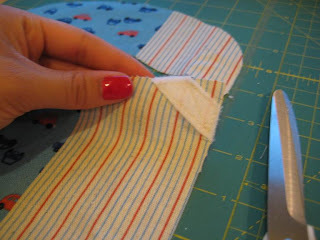 Using fabric scissors, cut both out. 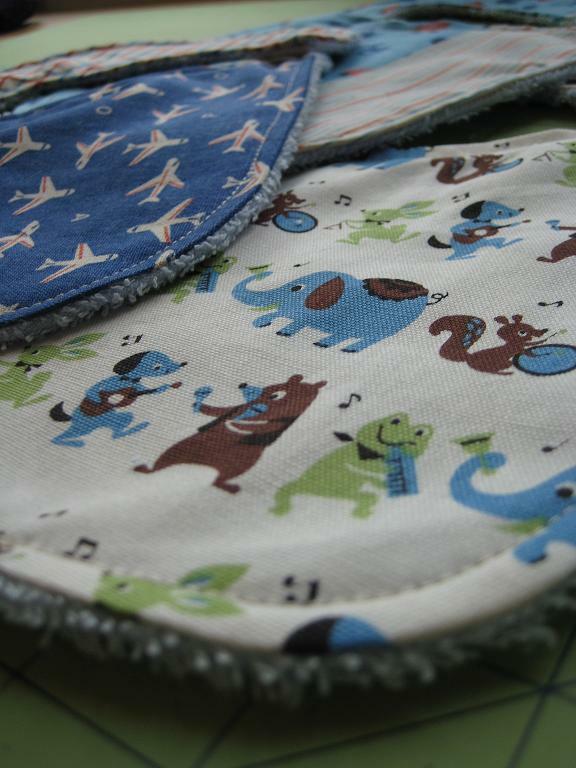 Step 3 – On the bib front, pin velcro to the tip of the baby bib where the closure will be. As shown below, sew the velcro in place by stitching along the perimeter of the velcro and fabric. 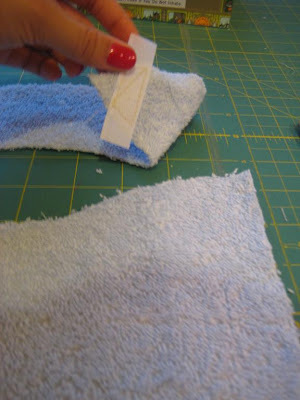 Trim excess velcro. 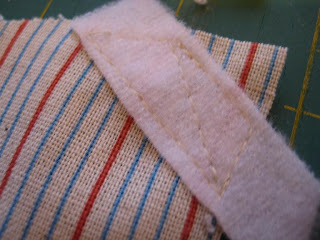 Step 4 – Repeat step 3 but on the terry cloth, and the other half of the velcro should be placed on the end of the bib strap. Be sure to place the velcro as shown in the picture below (i.e. velcro should be facing down). 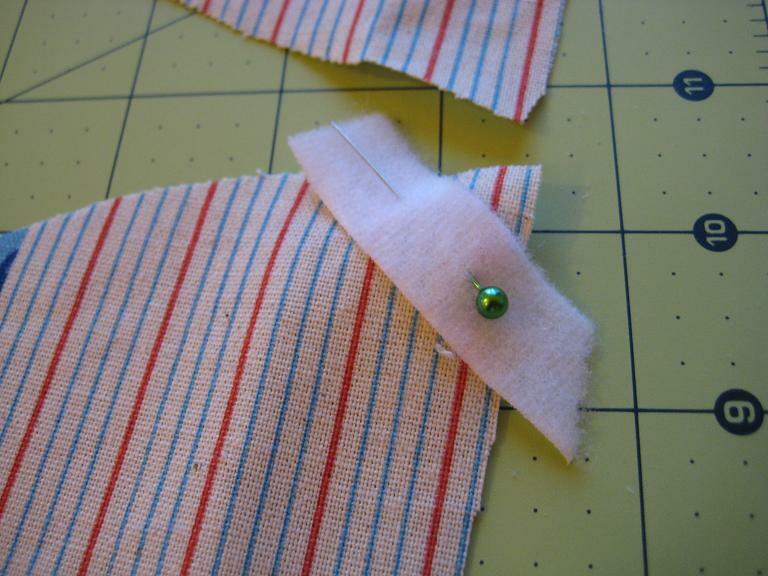 Step 5 – With right sides facing together, align both front and back bib pieces and pin together to keep in place. You should not be able to see the velcro. 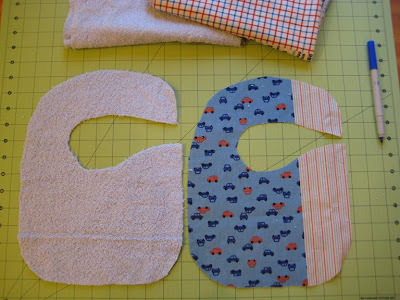 Sew a ¼ inch seam along the perimeter of the bib, but leave a 5 inch opening at the bottom of the bib as designated in red below. 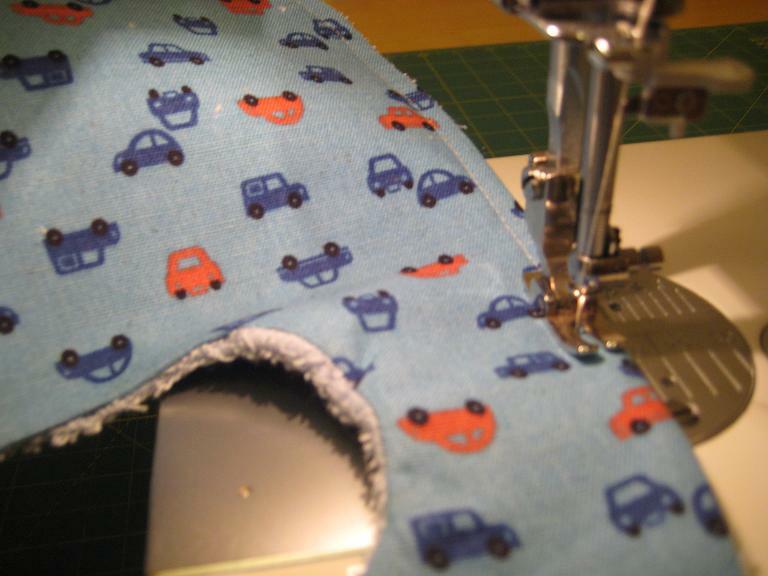 Start and end your stitch with a back-stitch. Step 6 – Through the 5 inch opening, turn the bib inside out. Press flat with an iron. Close the 5 inch opening by ironing inward the ¼ inch seam, and then use steam-a-seam to glue it closed. 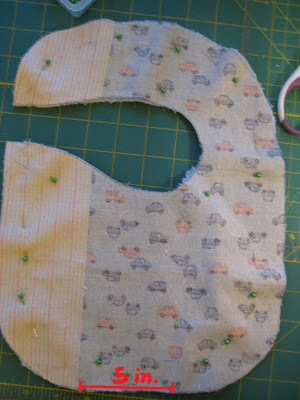 Stitch a ¼” border along the perimeter of the baby bib as shown below. You can NEVER have too much fabric! Great Job! 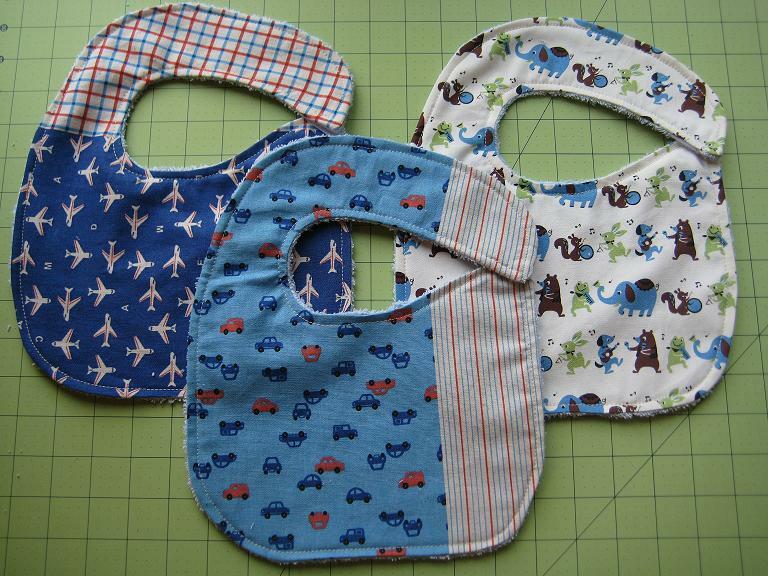 I would love to see you list your bib pattern….I haven't seen ones made like this and think this rocks! This is super cute, I love the side closure!! Thanks!